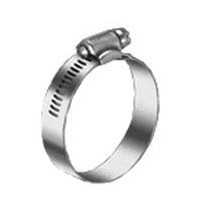 We take Pleasure to introduce over selves that we are one of the manufacture of various types of (TIGHTCO) Brand Hose Clip, Worm Drive Hose Clip Heavy Duty Hose Clamp,T-Bolt Clamp, Mini Clip in S.S.304/202 Material. We are in this field since ten years. If you require any of the above noted clips please feel free to contact us. We shall be glad to assist you. K-12 Swastik Ind.Estate Mira Bhy.Rd.